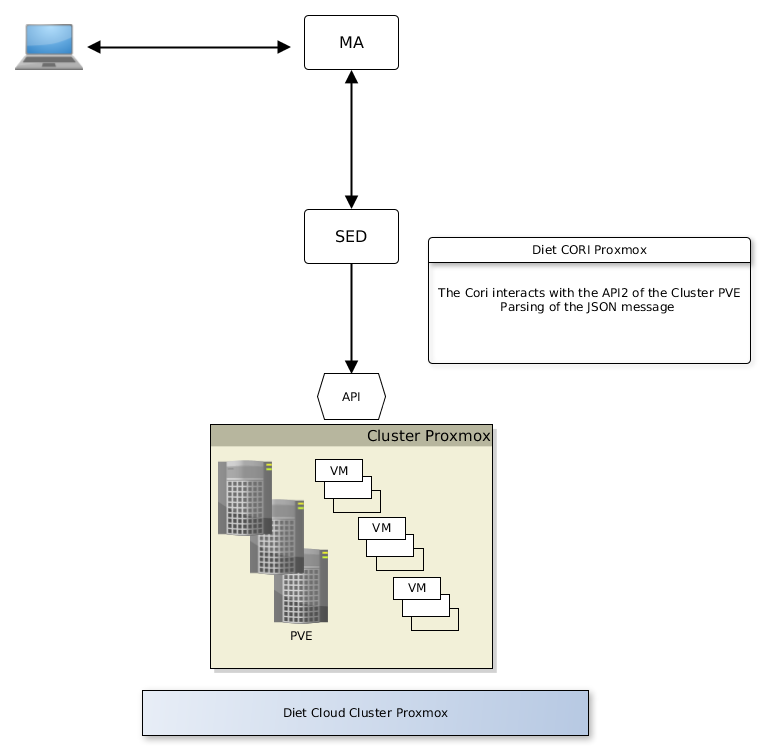 The purpose of the current article is to present the Proxmox Virtual Environment (PVE) and the DIET Cloud extension that can be used to interact with this PVE solution. This extension is a contribution provided by the NewGeneration-SR company. 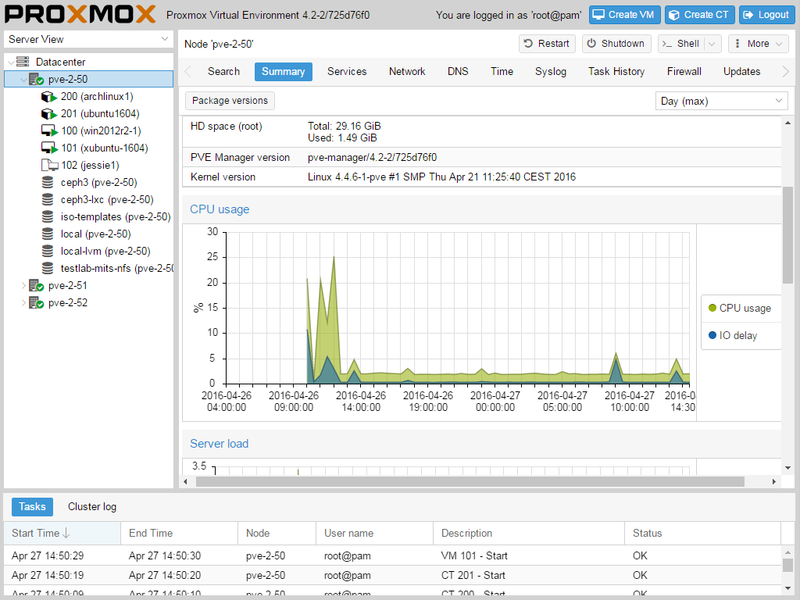 Proxmox is a complete open source server virtualization management software, based on KVM virtualization and container-based virtualization. It manages KVM virtual machines, Linux containers (LXC), storage, virtualized networks, and HA clusters. Cluster PVE : Several clustered servers PVE. API : Proxmox VE uses a REST like API. This API use JSON as data format. The whole API is formally defined using JSON Schema. The Cori use The Json library JsonCpp that allows manipulating JSON values. 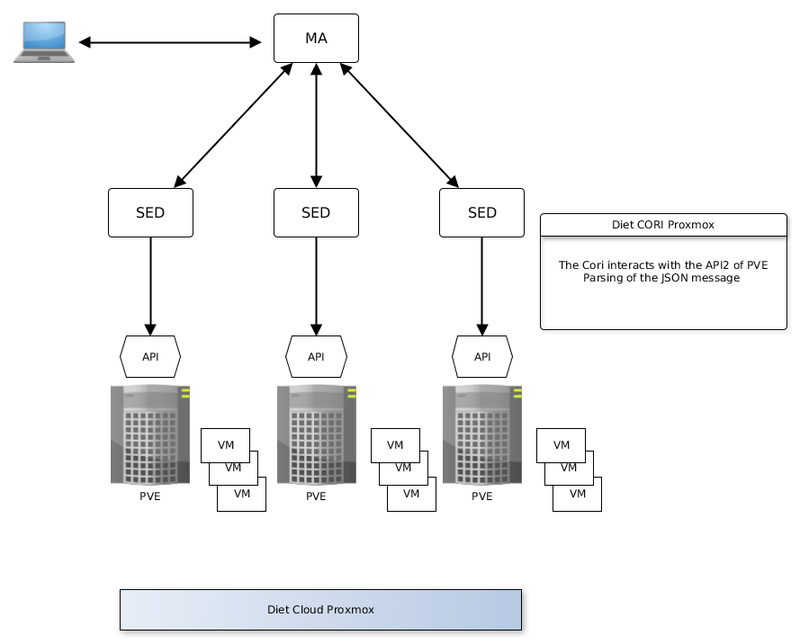 By using the SeD Cori Proxmox, the Diet user can monitor and manage its entire infrastructure.